Few vocalists hold the recital stage like British tenor Ian Bostridge, who brings his operatic chops to Union College’s Memorial Chapel on Feb. 10. It has everything to do with how he conveys the meaning of the words he sings and what he does with his voice. Bostridge loves to sing songs that take his audience on an emotional journey. He works with texts that allow him to sing not just pretty tones, but also grunts, whispers, and other “weird colors,” as he puts it. Bostridge performs in a disarmingly casual way as he leans against the piano or walks about the stage to tell the song’s story. Schubert set his songs to the texts of almost 100 poets, particularly Goethe and Wilhelm Müller. Out of the 22 Schubert songs Bostridge will perform is the famed “Erlkonig” (“The Erl King”), which is set to a Goethe poem; and he’s opening with a trio of songs set to poetry. These include: Matthaus Kazimir von Colin’s “Wehmut” (“Melancholy”); “Der Zwerg” (“The Dwarf”), which in Bostridge’s opinion, is “not a good poem but Schubert turned it into a great song”; and “Nacht und Traume” (“Night and Dreams”). 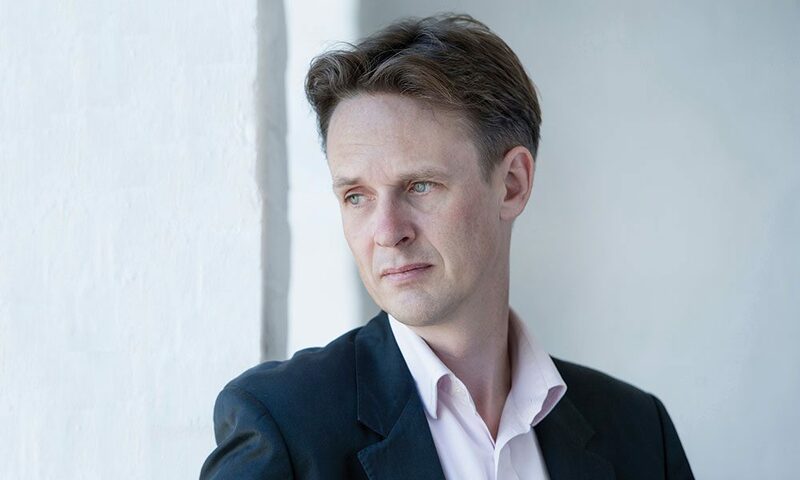 Performing a three-song cycle has become something of an obsession for Bostridge, who tours with the concept regularly—four of the six concerts he’s performing in February on his North American tour feature this cycle. He even wrote a book detailing how he came to interpret each of the cycle’s 24 songs in Schubert’s Winter Journey: Anatomy of an Obsession. Bostridge sang the cycle in 2015 at Union with accompanist Wenwen Du, whom he recently worked with in California. He’s spent almost 30 years performing this work.